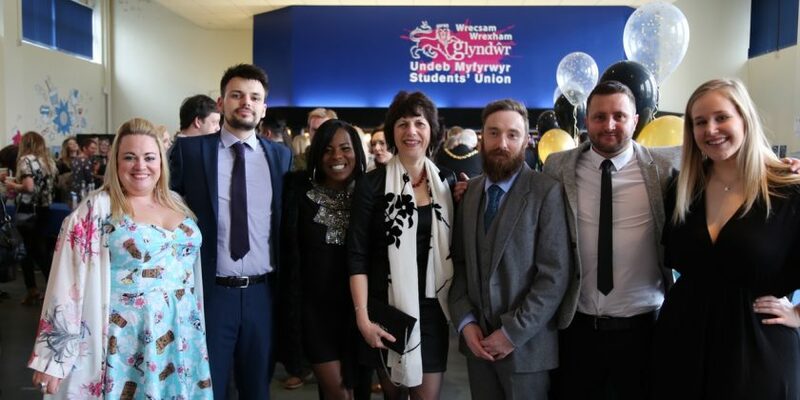 The dedication and achievements of students and staff at Wrexham Glyndŵr University has been recognised at the institution’s Student Union awards. 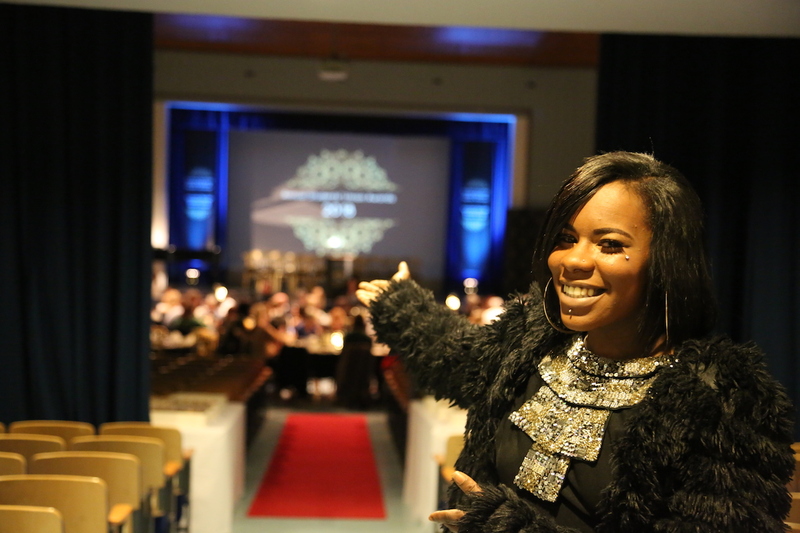 Held at the William Aston Hall in the university, this year’s awards ceremony was opened by National Union of Students President, Shakira Martin, in her first visit to North Wales. NUS Wales Women’s Officer and President-Elect Gwyneth Sweatman also attended the awards and presented prizes. The awards – voted for by Wrexham Glyndŵr students – were presented to academics, support staff, student societies and fellow students. In total, 39 awards for students, staff and societies were given out during the night. The award ceremony comes off the back of Wrexham Glyndŵr Student’s Union’s own success at this year’s NUS Wales awards. Among the highlights of the evening were a one-off award marking the university’s ten-year celebrations, which was awarded to Library and Learning resource Assistant Jane Holmes. The President’s award, which recognised volunteering either in the University or wider community, went to Katie Brute; and the Proud award, which was given to the student the Union felt had done something they should feel particularly proud about, went to Brian Groves. The award was introduced by a specially-recorded video from singer Heather Small – whose song Proud inspired a ‘Heather Small wall’ in the Student’s Union where students can commemorate their proud moments. And the Student Choice award – which recognised the best- ‘all rounder’ – went to Katie Taffinder, who judges described as “one of the most positive and friendly students in Glyndŵr”. Speaking of the event, WGSU CEO Sarah Ellis said: “Our university is a friendly, vibrant and supportive community and these awards really reflect that. NUS President Shakira Martin added: “I was delighted to open the awards. Wrexham Glyndŵr University, with its focus on widening participation, is my kind of university.